I'm trying to clean up the connections to a switch panel that has the mag switches. 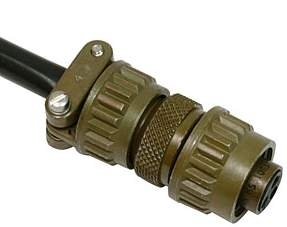 Is a D-sub connector appropriate for mag switch connections? the mag switches. Is a D-sub connector appropriate for mag switch connections? from a panel so that it can be easily removed . . .
three new joints to every wire. 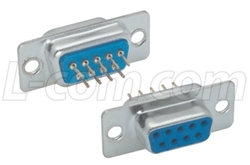 connector on their own pins. In this case, the switches that I'm using have solder lugs so there's already three joints. I'm currently using faston and spade connectors for each wire. I was simply trying to consolidate the connections to a single DB-25 connector. That's what I'm doing now. But identifying each wire and mating it can be really tedious especially considering the location. I can certainly do that. I just didn't know if the mags should be physically segregated to a different connector. other, low victim-potential wires, with no difficulty. If you ran the P leads through the firewall using an old fashioned Cannon plug, could you use a three pin plug and run both shields through one pin with no noise consequences, or would a separate pin for each shield be required? Pins 1 & 2 of course would carry the P leads themselves. If you ran the P leads through the firewall using an old fashioned Cannon plug could you use a three pin plug and run both shields through one pin with no noise consequences, or would a separate pin for each shield be required? Your subject speaks to the D-subs . . .
which I take to mean something more like this . . .
for the "G" terminal on the mag switch. No electrical difference, but lots more failure points. A failed-open point won't stop the engine, but can be very dangerous on the ground (engine can fire with switches off). A less than perfect job of installation (of any splice/connector installation) could cause a failed-shorted problem, which *could* stop the engine. Thanks Bob. The MS31xx type of plug was what I had in mind. I hadn't thought of grounding the switch through the shields but that makes sense. Thanks again. on the ground (engine can fire with switches off). detectable during run-up . . . low risk. > (engine can fire with switches off). that's part of the shutdown procedure, but it rarely is.